Updates to Tamika's profile since your last visit are highlighted in yellow. Well, I don't know where to start.......But, the lord has blessed me thus far and more to come. But, since school, I got married May 2001 and got DIVORCED Feburary 2003;due to domestic violence, that is why I am blessed to be alive to day. 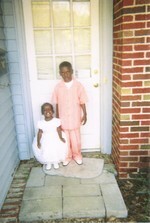 And the lord has blessed me with my son who was born Jan.1.2001 and my daughter who was born May 17,2006. And that is all I asked the Lord for and he gave them to me and now my life is somewhat complete. The only thing is missing is MY HUSBAND, whenever I decide to get one. But believe me,being divorced for almost 6 years is very lovely, cause i can come and go as i please and don't have to answer to nobody. But, I am taking applications!!!!!!! LOL!!!!!!!!!! 4 real. But, since then After the birth of my daughter, A sad spot hit my life, when my Grandmother, who was my heart and soul left me on June 17,2006 which was the same day that my daughter turned a month old. And I still haven't gotten over that yet.But, without the lords help I might have went crazy. 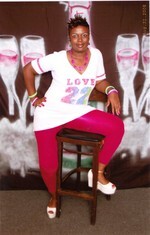 Tamika Blackshear Blackshear has a birthday today. 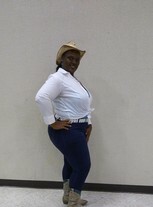 Tamika Blackshear Blackshear updated her profile. View. 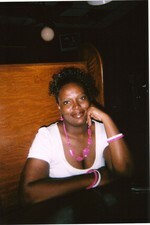 Tamika Blackshear Blackshear changed her profile picture. Tamika Blackshear Blackshear posted a message. Hey Natalie, how have you been?